Italian Influences in the Cult of Saint Barbara in Hungary? Born in Cantalice on the north-western border of the Abruzzo (Lazio) around 1515, Felice Porro worked as a farm labourer and a shepherd in Cittaducale. Inspired by the lives of the desert fathers, he was drawn by the ideal of the solitary life and entered the Order of Friars Minor Capuchin in 1544. Having spent two years in various Capuchin monasteries, he went to Rome in 1547 where he remained until his death on May 18, 1587. As a lay brother in the Monastery of San Bonaventura in Rome, he begged for alms for his brothers and the poor―first only bread, later wine and oil as well. Felix, however, not only begged, but also provided spiritual and physical healing in the houses of the rich and the poor for forty years. He devoted his night to prayer and spiritual preparation for his daily service and meeting the citizens of Rome. Humbly, he thanked everyone with “thanks be to God”, so he came to be called Brother Deo Gratias (frate Deo gratias). The leaders of the Church asked this unlearned friar for spiritual advice: Charles Borromeo, Pope Sixtus V whose future papacy he predicted, or Philip Neri who proclaimed him the greatest living saint. Paragon of Capuchin holiness, Felix was canonized in 1712 and became the first saint of his Order. In tandem with the Church reform ushered in by the Council of Trent, Felix’s hagiography and iconography had a huge impact on the spiritual and visual identity of the Capuchin Order. This paper will elaborate on the process of the formation of the saint’s iconography to provide an insight into the mechanisms of dissemination of the veneration of Saint Felix beyond the Apennine Peninsula during the seventeenth and eighteenth centuries, with particular emphasis on his visual representations throughout Central Europe. Obiettivo dello studio è quello di ricostruire, attraverso le fonti agiografiche, ma anche i racconti di pellegrinaggio, lo slittamento progressivo dell’immagine di Roma da città del potere imperiale, domina mundi, a città sacra per eccellenza, la nuova Gerusalemme. Prendendo come filo conduttore le memorie di agiografi e pellegrini, si cercherà di ricostruire la rete dei grandi poli devozionali, scrigni di reliquie preziose, e di spiegare le ragioni che alla fine del Medioevo determinano, nell’immaginario collettivo, la consacrazione definitiva della basilica petrina rispetto al complesso lateranense. Legends of local saints often claim that their mission was prompted by Saint Peter or by Saint Clement. This motif first appears in the sixth century, to develop further between the ninth and eleventh centuries. Hagiographers retroproject contemporary saints, such as Martial of Limoges and Clement of Metz, into the first century, to make the apostolic connection, or invent fictive characters, such as Caraunus of Chartres or Fronto of Périgueux. The relationship with iconic Roman saints confers an apostolic status to the local saints. This paper argues that the construction of the local saints’ “apostolicity” reflects the aspiration of local churches for venerable antiquity in order to affirm their authority and prestige. This paper examines the use of saints’ relics in the re-dedication and/or re-consecration of churches within the jurisdictional authority of the bishops of Rome from the fifth to the seventh century, and the occasions when Roman bishops were asked for advice by other ecclesiastical authorities in the Latin West about the proper use of relics in ceremonies of consecration. In particular, it considers the different uses of bodily and contact relics (reliquiae,sanctuaria, brandeum) in the re-consecration of heretical churches in Rome to orthodoxy, and the important function of the bishop himself in this process. Interestingly, a close reading of our surviving sources suggests that the specific relics that were used in the consecration and re-dedication of formerly heretical churches, such as those of Saint Severinus of Noricum and Saint Agatha, were carefully chosen to cleanse the heretical past of a building, to evoke the victory of orthodoxy or the authority of bishops of Rome, and to signal that the church had been reborn as a fitting place for orthodox worship. In this way, these ‘foreign’ saints were imprinted upon the sacred topography of the city, becoming intrinsically linked with the city of Rome and its faithful. The narratives of re-consecration functioned as pastoral literature that emphasized the important role of relics in the defeat of heresy. Nevertheless, Roman bishops felt some ambivalence towards the power of saintly relics. For instance, Gregory the Great strongly emphasized the central role of the bishop, the mass, and the gathering of the Christian faithful in communion, in the re-consecration of churches to orthodoxy. This paper focuses on how the characteristic representation of minor Roman saints was determined by the geographical spread of their relics. Throughout the Middle Ages and well into pre-modern times, iconography was a dynamic process resulting from local elements intertwining with standardized Roman characteristics. Hermes was a second-century martyr of Greek origin whose remains were found in a Roman catacomb later converted to a basilica in his honor. Hermes’relics were brought to Salzburg and Kornelimünster in the ninth century, and were further dispersed in Aachen, Warbeyen, Theux and finally Ronse. On the first representations of Hermes, symbolic details indicate his former resting places. Iconographic research informs us about the transformation of the saint’s representation across time and allows us to reconstruct the early dissemination of Saint Hermes’ relics. His remains arrived in Ronse in 860, where a procession, first organized in 1090, is held to this day in his honor, circumambulating the town asking for protection from evil. The procession’s itinerary marks pre-Christian sites, jurisdictional boundaries and natural boundaries around the town. This itinerary, which seems to take the form of a protective circle around the town gives an insight into the last transformation of the saint’s iconography that took place in Ronse. Hermes is not among the fourteen holy helpers, his intercession is not invoked for special healings. In Ronse, however, he did become a “specialist saint” healing mental disease. A rite of purification and exorcism developed in the town, adding a new iconographic layer to the representation of the saint. From a medieval knight on foot or horseback, Hermes was transformed into a Roman cavalry officer, curing people by chasing out the devil, shown as enchained. This image spread in the wider region of East Flanders and survived to modern times. In the Middle Ages, Lawrence of Rome was among the most popular saints in Western Christianity. Jacobus de Voragine’s Legenda Aurea promotes him as one of the great martyrs who suffered in Rome. Lawrence rose to prominence in the Low Countries. Represented on several images and in many texts, his relics were brought to Liège in the eleventh century, and he became the patron saint of Rotterdam. Inspired by two sermons on Saint Lawrence preached by the Carthusian Peter Dorlandus, this paper examines the construction of the martyr as a model in the reformist milieus of the Low Countries, the Carthusians and the Devotio Moderna. These circles were closely connected: the Carthusians copied and translated hagiographical texts for the convents of the Devotio Moderna. Dorlandus’ sermons written for his fellow friars are particularly informative about this process. Lawrence was construed as a warrior against greed, which the author regarded as a major cause for what was wrong in the Church. The saint’s body was construed as virginal, as well as material and spiritual food. Dorlandus’ sermons challenge assumptions about these aspects of sanctity being linked to female saints. I explore this issue with a special focus on the lives and sermons written by Carthusians and the followers of the Devotio Moderna. This paper explores the attractions and appeal of Roman saints for the secular and ecclesiastical élite of late eleventh- and early twelfth-century England. The rulers and peoples of the Anglo-Norman kingdom of the English were the heirs of a long tradition of pilgrimage to Rome and of devotion to its saints. This tradition of pilgrimage and devotion, beginning with the visits of Benedict Biscop in the 650s and ending with the pilgrimages of King Cnut in the 1020s, has been the focus of much recent work. The interest of the Anglo-Norman élite in Rome and in its collection of saints, shrines, and monuments remains, by contrast, a relatively unexplored topic. This paper hopes to rectify that imbalance. A rich corpus of evidence from Anglo-Norman England—local narratives, miracula, charter evidence, pilgrimage itineraries, even the memoir of a visiting ecclesiastical dignitary—reveals that the saints of Rome continued to excite the spiritual imaginations of the Anglo-Norman élite and to invite their investment of time, energy, and wealth in the act of pilgrimage to the city. As this paper will demonstrate, there was more to the Rome of the reformed papacy than the personnel, business, and litigation of the papal curia; the power of the saints was as magnetic and as irresistible—possibly even more so—as it had been in the days of Benedict Biscop and Cnut. Far from being eclipsed by the powerful pull of the city of Jerusalem and the holy places, the saints and shrines of Rome remained a source of spiritual and moral authority, a direct and tangible reminder of the heroism of the early church, and a spur to personal and collective reform. Cecilia, an early Christian martyr of Rome, became a most popular saint in Western Christianity. Her legend is included in two “old pious vernacular bestsellers” of late-medieval Western literature, the Legenda Aurea (LA) and the Meditationes Vitae Christi (MVC). Cecilia’s presence in the LA is well known, her inclusion in the Pseudo-Bonaventuran MVC is much less. Recent publications, however, focused on Cecilia’s passio in the vernacular version, the Italian Franciscan narrative the Roman saint does not replicate the main characteristics of the original and has interesting textual features. The text highlights a single detail of her life, namely that she bore the Gospels in her bosom. This is interpreted by the text as the sign of her intimate relationship with Christ. Recently, Sarah McNamer formulated a hypothesis concerning this transformation, arguing that Cecilia’s name may reveal the identity of the author of the MVC. Discussing McNamer’s hypothesis, this paper identifies the direct source of this motif in the MVC. Comparing the Latin and Italian versions, I argue that it is the Recensio Longior of Cecilia’s Passio that impacted the textual version in the MVC. Saint Cyril and Methodius who Christianized the Slavs and invented the Cyrillic alphabet(s), were rarely subject of monumental visual artwork in Western Christendom, even though Saint Cyril died in Rome and is celebrated in the Basilica di San Clemente. This paper explores the Early Modern visual afterlife of the Slavic saints in San Girolamo di Ripetta, the national church of the Slavonic/Illyrian community in Rome. Rebuilt by Sixtus V (1585-1590) on Martino Longhi the Elder’s design, the church was decorated extensively by a team of “Sistine painters” led by Giovanni Guerra. The iconographic program of the representation of the saints reflects their achievement through a Roman lens and conveys the post-Tridentine agenda of the papacy. Commissioned by the confraternity, the mid-seventeenth century altar painting by the Salonicco brothers offers a very different iconography focusing on the Roman episode of the saints’ lives. This paper investigates the hagiographic sources of these images and disentangles the mechanisms, protagonists and intentions behind the different commissions. The appropriation and relaunching of the cult of the two inter-confessional saints in Rome is analyzed in tandem with the cult of Saint Jerome, with a special focus on their definition of Scripture and language, of crucial importance for Slavic Christians in Rome. The life of Bishop Calixtus I of Rome (217?-222?) was far from uneventful, but his afterlife was even more spirited. The rise and diffusion of his cult had at least four distinctive stages. The first phase begins with his “rediscovery” by Bishop Julius I (337-352), who promoted his predecessor in several ways: he extended his tomb at Via Aurelia with a small subterranean sanctuary, erected a memorial church and the Basilica Santa Maria in Trastevere dedicated to him, and, finally, chose to be buried next to him. The second stage is marked by the interaction between the tomb and their visitors. The sanctuary was extended at the end of the fifth century and time was ripe to write the Acta Martirii Sancti Calixti (BHL 1523), an adventure-filled narration about Callixtus’ violent death. This genuine fiction filled biographical gaps and explained a number of oddities concerning the resting place of the bishop. The Acta influenced the decoration of the sanctuary at a later stage. The third and fourth stages are marked by (supra)regional diffusion, beginning with the translation of the relics in the eighth century to Santa Maria in Trastevere, continuing with a distribution to other local churches. The final phase is marked by the division of the relics and their supra-regional distribution to a larger number of churches: Fulda (838) and Cysoing (854). The purchase of fake Calixtus relics by Abbot Nanter from Saint-Mihiel around 1025 at Rome is symptomatic in this period. This paper reconstructs the making and the spreading of a martyr saint. He proposes to analyze each stage with regard to the underlying mechanisms and goals of, as well as influences on the veneration and subsequent developments. The interpretation pays particular attention to the material remains of Callixtus. Saint Clement of Rome: A Saint and His City? Clement, one of the first successors of the Apostle Peter in late first-century Rome, is one of the few saints venerated both in Eastern Orthodox Churches and in the Roman Catholic Church. Little is known about his life. Exiled to Cherson, he was martyred by being tied to an anchor and thrown into the Black Sea. His tomb was allegedly discovered by Cyril and Methodius in the late ninth century who brought his relics to Rome. His memory was celebrated in the Roman liturgy. His cult center was Church of San Clemente, the headquarters not only of the Gregorian party but also of the supporters of (anti)-Pope Clement III (1080–1100). The frescoes of the lower church of San Clemente, commissioned by a lay couple at the end of the eleventh century, attest the lively presence of Clement in the Roman canon of saints. Remarkably, his representation changed a few years later in the apse decoration of the upper church. The saint occupies a subordinate position on the triumphal arch. Inspired by Clement’s legendary inthronization as bishop of Rome by the Apostle Peter, the“pure” Petrine line was strongly emphasized in his later vitae. This became a crucial point in the period of the Gregorian reform, when works are attributed to Clement in order to support the primatus Petri. Towards the end of the tenth century, the cult of Saint Alexis reached Rome. Two versions of his vita form the basis of new Latin and vernacular compilations. They tell the story of a young Roman aristocrat who, having distributed his riches to the poor, goes on a pilgrimage as a beggar. Years later he returns to Rome to spend the rest of his life living under the stairs of his father’s home. The exceptional multiplicity of the literary versions of his life-story contrasts with the scarcity of liturgical rites devoted to the saint, dedications of churches and altars, and above all the paucity of visual images which are rare and limited to a handful of scenes. The stained glass cycle (ca. 1407) consisting of twenty-six panels presenting the legend of Saint Alexis in the Church of Saint Mary of Königsberg in der Neumarkt (now Chojna, Poland) is thus quite exceptional. In the case of Königsberg, the choice of this saint who chose the path of absolute poverty at the beginning of fifteenth century had a special context: the presence of the Waldensian heretics who—just like Saint Alexis—followed the path of poverty. At the time of intensive inquisition activities against them in nearby Stettin, the ideal of poverty and breaking with society called for a clear-cut commentary. Such a commentary was provided by the vivid pictorial legend of Saint Alexis that promoted voluntary poverty in a version acceptable by the Church. This paper analyses the visual strategy that delivered the voluntary poverty of a Roman saint in a modernized version in Chojna in the more general context of visualizing Saint Alexis’s life in medieval parish churches in Central Europe. Rome was an important place for Jerome: he studied in the Vrbs and he received his first great intellectual commission by Bishop Damasus to revise the Latin text of the Bible. His reputation in the Vrbs, however, was far from unambigous. An ascetic activist, he became spiritual director to smart and wealthy aristocratic ladies, and even ambitioned the pontifical throne, but criticized the Roman clergy to an extent that he was forced to flee to the Holy Land. Small wonder that the cult of Jerome did not take off in Rome until the late thirteenth century when, according to the Translatio corpori Sancti Hieronymi of 1290, Jerome appeared in a vision to a monk to tell him to transfer his body to the Basilica di Santa Maria Maggiore. This poster presents the formation and the architectural setting of Jerome’s cult in Rome as part of the transformation of Santa Maria Maggiore into “Bethlehem” during the Jubilee of 1300. Jerome’s relics complemented the relic of the Holy Crib in the basilica and fake letters by Pseudo-Cyril, Pseudo-Augustine and Pseudo-Eusebius replenished Jerome’s hagiography with necessary miracles. The martyr saint Lawrence of Rome had an intense cult in the Holy Roman Empire during the Ottonians (919-1024). Together with Saint Maurice, Lawrence was the patron saint of the dynasty who ensured the triumph of Emperor Otto I (936-972). Otto imported the cult of Lawrence to Germany and made Merseburg his cult center. Henry II (1002-1024) restored the seat of Merseburg, abolished in 981 by Otto II, and gifted it with lavish donations. The emphatic veneration of Saint Lawrence contributed to the legitimization of Henry II as King of Germany following the succession struggles. The cult of Saint Lawrence impacted the Life of Saint Henry composed in Bamberg for the canonization of the emperor in 1146. The text adds two miracles to Saint. Lawrence: the gift of the chalice to the Cathedral of Merseburg and the weighing of Henry’s soul after his death, with the Roman martyr interceding for the deceased ruler. Saint Lawrence’s inclusion in the miracle cycle of Saint Henry hugely impacted Henry’s popularity and his place in the communio sanctorum. The legends of Saint Henry are represented on the frescoes of the portico of San Lorenzo fuori le mura. This poster investigates the reception of Saint Lawrence of Rome in Germany and the political strategies behind his cult in the Ottonian Church. I focus on the image of Lawrence in the hagiographic tradition of Henry II, and its impact on the formation and spread of the cult of the German emperor. If Catherine of Siena (1347-80) spent only the last two years of her life in Rome, the Vrbs played an important role in her life and afterlife. As an ardent proponent of the return of the papacy from Avignon to Rome, she moved to the Dominican convent of Santa Maria sopra Minerva at the outbreak of the Great Western Schism in 1378 as an advisor of Pope Urban VI. She died here and is buried in the church. Catherine of Siena became an influential role model in female convents in Hungary. Her legend was translated into Hungarian and two different vernacular survive: one by the Carthusian Anonymous (1526-27) in the Érdy Codex, another in the Érsekújvári Codex (1529-1531), a collection of sermons and legends translated for the Dominican nuns of the Rabbits’ Island on the Danube. The Hungarian authors/translators of Catherine’s legend relied on the Latin works of two renowned Italian friars. The Carthusian Anonymous used a sermon of the Franciscan Roberto Caracciolo, who attended Catherine’s canonization in Rome and preached a sermon about her excellence in the Dominican church after the ceremony. The unknown Hungarian Dominican translator of Catherine’s legend adapted the saint’s vita by the Florentine archbishop Antonino Pierozzi’s (1461), former prior of Santa Maria sopra Minerva (1430-1439), commissoner of the tomb of the mantellata well before her canonization. This poster surveys the sources — three Latin and two vernacular texts as well as an altarpiece — that attest Catherine’s veneration in fifteenth- and sixteenth-century Hungary and explores the place of Rome in the Hungarian legends of Catherine, an aspect hitherto neglected by scholarship. These texts pay little attention to Rome in the public mission of the saint, including her stay in the Vrbs. The city receives attention only after Catherine’s death on account of two basilicas: Santa Maria sopra Minerva, where her popular veneration started immediately after her death, and Saint Peter’s, where she was canonized by Pope Pius II in 1461. The veneration of saints has always been an essentially communal aspect of lived religion. Sanctity itself has been negotiated and re-negotiated by religious communities, saints’ deeds transmitted (in addition to written texts) in everyday encounters, requesting their intervention in crises was often decided jointly, in collaboration. Although the testimonies in canonisation inquests follow established patterns concerning the ideals of sainthood and a miracle narrative, the surroundings of the witnesses play an important role in what aspects of their everyday experience were recorded to provide further evidence for the investigated case. This paper discusses communal aspects of sanctity, particularly healing miracles in vita and post mortem, from a Roman perspective. How did the political and social situation of the Eternal City influence interaction between devotees and the saint? What are the signs of the saints’ “Romanness”? Can we detect particularly Roman elements from the practices related to healing? Is there a difference between Roman and non-Roman cults in the late Middle Ages and Early Modern era? The primary source material for the presentation includes the canonisation processes of four wonder-working saints in Rome whose miracles were recorded: Birgitta of Sweden (1376–80), Frances of Rome (1440/43/51), Bernardino of Siena (1440/45/48–49), and Filippo Neri (1595–97). Processes recorded in other Italian cities in the same time period, as well as the three saints’miracles that occurred elsewhere, will be used as comparative material. Starting from a novel historiographical paradigm on the origins of the ecclesiastical organization in medieval Dalmatia, this paper explores the role of the cult of Roman saints as part of the Holy See’s attempt to “reclaim” jurisdiction over ancient Illyricum between the eight and tenth centuries. By the tenth century, Dalmatian dioceses became the bridgeheads of Roman latinitas stopping the expansion of the Church of Constantinople and its suffragans in the Balkans. The tension between Rome and Constantinople stems from the revamping of the ecclesiastical dioceses in Dalmatia in the eight and ninth centuries as a result of the dynamic activity of the papacy in the Eastern Adriatic. 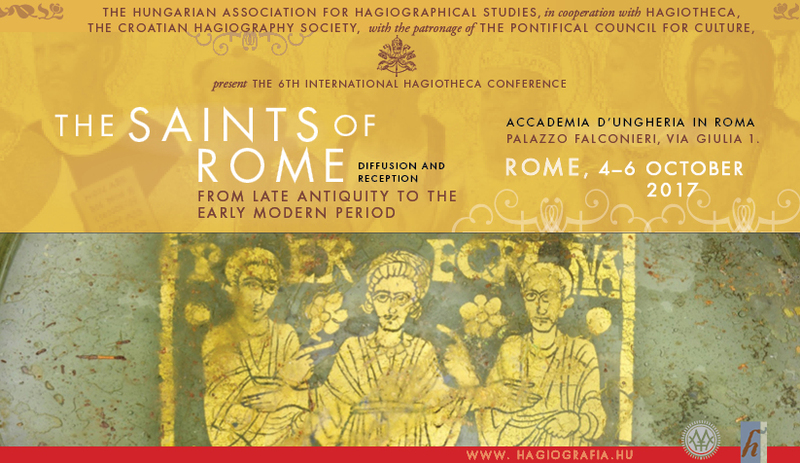 Surveying the evidence concerning relics and cults originating from Rome, this paper aims at detecting “Roman saints” in Dalmatia who might have been operational in the process of the papacy’s reclaiming jurisdiction over the territory. We depart from the Late Antique layer of the saints’ cults of undoubtedly Roman origin, examine the decline of ecclesiastical life during the Dalmatian “Dark Ages” (c.630-c.770s) and focus on a “new wave” of the Roman cults at the end of the eighth century. Papal politics on the Eastern Adriatic were supported by the Carolingians (c.780s-820s) and by the rising Croatian principality. At the same time, the Church of Constantinople did not overtly claim jurisdiction over Dalmatia, yet it was clearly seeking to expand by establishing new Byzantine political and administrative units. A series of important relics sent to strategically important places reflect the new phase in negotiating the position of Dalmatian towns between the two powerful ecclesiastical centres. If the representation of Early Modern Catholic saints during the Catholic Reform was global, there clearly was a “geographical hierarchy” at work. Describing Ignatius’ miracles in the Flos Sanctorum (1601edition), Pedro de Ribadeneyra opens with the miracles that had taken place in Rome. Only after that does he relates the saint’s miracles in Italy, Spain or in other distant parts of the world. In contrast to this conformity, Andrea Pozzo’s Corridoio (after 1681), the first stabilized visual representation of the Ignatian miracles in Rome includes two local Spanish cults: the oil miracle in the cave of Manresa and the genesis of the miraculous portrait of Munébrega. Andrea Pozzo’s fresco of the oil miracle provides a different setting to this local cult. The addition of a sarcophagus and a gold-framed portrait placed directly above refers to Ignatius’ tomb in the Il Gesù, where the saint’s veneration started. The legend of the miraculous image of Munébregatells narrates the appearance of an angel in guise of a pilgrim, revealing a new, attractive religious order in Rome founded by a Spanish compatriot held to be a saint. The angel paints Ignatius’s portrait that, after the initiation of Ignatius’ cult, works miracles for the Munebrégans. Ironically, the necessity of celestial clarification regarding their famous compatriot points to the fragile relationship between Spanish and Roman Catholicism. Local cults proved to be crucial media to support global Roman propaganda that simultaneously required a clear indication of their Roman origin. This poster demonstrates the role of peripheral local cults in the representations of Ignatius’s miracles for promoting his global cult in Rome, the center of his veneration. A year before the jubilee of 1350, the Swedish noblewoman Birgitta Birgersdotter left her home country for Rome, and was never to return. Widowed in her mid-forties, Birgitta converted to the religious life. Before setting off on her Roman pilgrimage she had been a lay affiliate of the Cistercian monastery of Alvastra for three years, where she gained the support of the prior, Petrus Olavi. This paper argues that Rome plays a key role both for Birgitta and prior Peter, who would later campaign for her sanctity, transforming her from a mulier religiosa into a mulier sancta. It is in Rome that Birgitta composed the Liber coelestis Revelacionum, her primary claim to sanctity. Analyzing the Revelaciones and the documents of Birgitta’s canonization process initiated in Italy immediately after her death in Rome in 1373, I aim to demonstrates that the sacred topography of the Vrbs, its buildings, relics and artworks, not only provide the contents, protagonists and the mise-en-scène of a number of Birgitta’s visions, but her physical presence at the specific Roman shrines is also used by her supporters as efficient arguments in favor of her sanctity. The Christian catacombs in Rome have accumulated, in the first centuries after Christ, a great number of martyrial burials that triggered not only ad sanctos burials, but also the creation of under-and above ground spaces dedicated to saints’ worship, such as crypts, basilicas, chapels. From the third century, the creation of such spaces was spurred by the ecclesiastical hierarchy, as in the case of the Sacraments’ cubicle or the Crypt of the Popes in the Catacomb of Saint Callistus. However, in the age of Constantine, the figure of the emperor emerged as the ultimate promoter of the veneration of the saints of Rome through his construction of monumental basilicas above the martyrs’ tombs, from Sebastian to Agnes and to Lawrence. This cultural context frames the choice of creating images related to the saints’ figures, such as the patrons and protectors of the dead and of the worshippers, collocating them within the iconographic cycles of decoration of the great basilicas but also of the simplest decorative programs of the catacombs’ cubicles that accompany the dead and that often recall the theme of the monumental greatness of the basilicas. This paper analyses the iconography of the martyrs, venerated as exempla virtutis and as privileged communicators with God in a comparative perspective. It follows an “evolutionary” path when highlighting points of contact and divergence up the end of the frequentation of the catacombs in the seventh and eighth centuries. From the pontificate of Damasus (366-384), it is possible to discern a double track: on one hand, the re-launching of the cult of the martyrs through the bishop’s impressive epigraphic production and, on the other, an increase in the iconographic elaboration of hagiographic type, triggered by the rise of the cult, that will lead to different artistic and cultic solutions. This paper explores the spread of Roman saints in the art of Valencia. I examine the relations and the patronage of arts in Valencia by Calixtus III, Alexander VI and the members of their courts in a Mediterranean-wide context of economic, political, social and cultural exchange. In 1457, Pope Calixtus III gave reliquiaries to Valencia. The chests were full of relics of saints, such as Santa Prisca, associated with the restoration of the Church of Santa Prisca by the pope. The Virgin of fever is a Valencian version of the Madonna della febbre, evoking the funeral monument of Calixtus III in the chapel built by his nephew, Rodrigo Borja, near the Vatican basilica. The chapel dedicated to the Virgin of fever in the Collegiate Basilica of Santa Maria of Xàtiva was founded in 1497 by Francisco de Borja. A Madonna with Writing Child and Bishop, also called Virgen de las Fiebres was painted by Pinturicchio in Rome, but a contract signed by Fernando Llanos and Fernando Yáñez de la Almedina in 1511 also refers to a Madonna della febbre altarpiece. How was the cult of the Virgin of fever introduced and what was its impact on local customs? The very Roman devotion to the Virgin Mary spread in the region of Valencia: the Virgin became the patron of small Valencian cities, Canet d’En Berenguer; Quart and the hermitage of Saint Bartholomew in Xàvia. Ever since its discovery in 1782, the iconographic program of the richly painted Saint Peter and Paul burial chamber of Sopianae (Pécs) has intrigued scholars. Each and every wall of this funerary monument is painted with Biblical stories, with lush paradisiac vegetation, with unknown persons in medaillons, and at the center of it all, with the princes of the apostles pointing towards a crimson Christogram. Little is known about the cult of the twin apostles in Pannonia and in medieval Hungary, thus scholarship is scarce on this issue. The Sopianae fresco is the earliest representation of the apostles in Pannonia. It was the bishop of Rome who revamped the cult of the apostles to proclaim the primacy of Peter, that is, the superiority of the Church of Rome over the churches. Until the end of the fourth century, Rome exercised metropolitan jurisdiction over the Churches of Pannonia, Moesia and Illyricum, where at that time the Arian heresy still prevailed. Did the images of Saint Peter and Saint Paul have an anti-Arian agenda in Sopianae? Theological and political motifs show that the Sopianae painting was executed at a time when this scene functioned as a timely message of orthodoxy for the entire region. This paper follows up the relation between the cult of the apostles and the expansion of Catholicism in Pannonia/Hungary until the foundation of the bishopric of Pécs dedicated to Saint Peter and Saint Paul by King Stephen of Hungary in 1008. Although it would come to have a clearly defined set of local saints, the history of Ravenna’s hagiography is inexorably tied to that of Rome, a city at times its rival and others its ally. The importance of Rome’s saints in Ravenna, however, was not inevitable, as other centers, such as Milan and Aquileia, also fed their hagiographic traditions into the developing late antique capital, especially in the early fifth century when it hosted the western imperial court. Following the ruptures of the end of imperial rule, and later the establishment and collapse of the Gothic kingdom, in the sixth century Ravenna would turn to Rome to enhance the profile of saints in its “hagiographic landscape” composed of its calendar of feasts, relics, shrines and churches, and liturgical books. This paper outlines the chronology of Ravenna’s adoption of Rome’s saints in both its hagiographic literature and in their appearance on monuments, and the ways in which they were used to confirm the role of Ravenna’s bishop within the city and broader region. Specifically, connections between the two cities will be explored in the vitae of three of the city’s local saints: the city’s patron and first bishop, Apollinaris, the imperial confessor Barbatianus, and the eremitic reformer Romualdus. The Hungarian Angevin Legendary, the most sumptuous manuscript produced for the Angevin kings of Hungary, in its fragmented form presents 58 legends in 549 images. As the style of its illumination is related to Bolognese miniatures of the 1330s, it must have been commissioned by Charles I of Hungary. The codex is one of the key sources on the veneration of saints in the Hungarian royal court in the Trecento. A quarter of the saints represented in the manuscript is connected to Rome. An important Roman group is constituted by the apostles; another by the martyrs Sebastian, Lawrence, Stephen the Protomartyr, John and Paul, and Eustace; and finally by the holy popes Fabian, Clement, Sixtus, Sylvester, and Gregory. These saints enjoy widespread recognition and cult in the Catholic Church and it is not surprising that the lives of the apostles be narrated in extensively. However, it is strange that special attention is paid to obscure Roman saints such as the martyrs John and Paul. The Angevin Legendary follows the texts of the Legenda Aurea, but with different emphasis. In a picture-text ratio, Fabian and Sixtus figure in the top three. The Legendary reflects the cultic preferences of the Roman Church that explains the preponderance of Roman saints. The repertoire, however, was extended to neglected saints. This paper suggests that this resulted from the close communication between the Angevin court and the papacy during the complex and delicate problem of the Neapolitan succession. The rediscovery of the Catacomb of Priscilla in 1578 stands out as a decisive event in the Early Modern history of the Roman catacombs, and in the development of the cult and worship of Roman catacomb saints. The tombs in the subterranean cemeteries were identified as martyr graves. The cult of martyrs took on a considerable extent and became quintessential for the Counter-Reformation Church. Due to the propagated papal piety towards relics, in the following two decades a large number of corpses were exhumed from the Roman catacombs, not only to be transferred to the churches of Rome, but also beyond the Vrbs. From the late cinquecento onwards, the search for relics within the catacombs exploded. Between1600-1603, during the archbishopric of Federico Borromeo, a “cercatore di reliquie,” Giovanni Giacomo Castoldi was authorized to translate such a large amount of Roman catacomb relics to Milan that he was able to equip more than a hundred churches in Milan and its diocese. Castoldi’s activities are accurately described in a manuscript preserved in the Biblioteca Ambrosiana. Immediately upon the arrival of the relics in Milan, Federico Borromeo used them for his own ecclesio-political strategies. These activities were linked to and legitimized by Charles Borromeo, prototype of the post-Tridentine bishop. It is no coincidence that the solemn procession of 1609 led by the archbishop ushering in the Roman relics to Milan took place on the eve of Charles Borromeo’s canonization. Explicit references to Charles Borromeo are evident throughout the ceremonial procession. This paper highlights the connection between Castoldi and Federico Borromeo, or rather between the “old” Roman catacomb saints and the canonization upcoming in 1610. I discuss the ways in which the simultaneous veneration of the “old” catacomb saints and the new canonized saints reveal conflicting positions. This paper examines the popularity of the Dominican Saint Catherine of Siena in Latin American art in the sixteenth and seventeenth centuries. Represented on retablos and on wall paintings together with other women mystics, Catherine served as a model for female sanctity in early colonial Latin America, and as a prototype for Saint Rose of Lima, the New World incarnation of the virgin saint. In her mystical marriage to Christ, but also as an example of ecstatic spirituality, the figure of Saint Catherine must have validated female monastic life in the early years of the Dominicans’ presence in Latin America. I will explore the issues of how women mystics, such as Catherine of Siena were compatible with indigenous practices of female sanctity as well as of the role that art had in presenting the saint to Latin American audiences. Italian Influence in the Cult of Saint Barbara in Hungary? Barbara was a celebrated as a virgin martyr in medieval Europe. Barbara suffered martyrdom in Nicomedia, but the location of her martyrdom appears in her legend only from the eleventh century onwards. Earlier versions locate her suffering to various places like Heliopolis, Tuscany, or Rome. The tenth-century Breviarium Richenoviense affirms that she died at Rome. This correlates to one of the earliest traces of her cult, an image on an eight-century fresco of Santa Maria Antiqua in Rome. Slovak historian Michal Slivka suggests that the cult of Saint Barbara spread to Western Europe and to Hungary from Italy. This poster traces the origin and the development of the cult of Barbara in medieval Hungary from a multi-disciplinary perspective. Was the cult of Saint Barbara directly exported from Italy to Hungary by Latin hospites? Who were the promoters of the cult? Did Saint Barbara’s Italian or Roman origin manifest in her cult? Barbara appears first in liturgical sources, such as the Pray Codex (1192–1196) in Hungary. The analysis of historical (charters, protocols), art historical (murals, panel paintings) and literary sources might help reconstruct the origin and the development of her veneration in Hungary and answer the question whether there was an Italian influence in the diffusion of the cult. On April 17, 1594, Hyacinth was canonized in Saint Peter’s Basilica on the Vatican. The first Polish Dominican friar, founder of several monasteries in Central Europe, took the Dominican habit from the hand of Saint Dominic himself in the Monastery of Santa Sabina on the Aventine. His short stay in Rome is highlighted in his hagiography and plays a substantial role in efforts for his canonization in the first half of the fifteenth century. The most important evidence for the Roman aspect of Hyacinth’s cult is the series of wall paintings in the chapel at the south aisle of the Basilica of Santa Sabina. The chapel was founded by Cardinal Girolamo Bernerio da Correggio OP and the murals were made by Federico Zuccari whose signature with the date 1600 is inside the dome. Two large compositions present The Introduction of Hyacinth to the Chapter House of the Roman cloister by Saint Dominic and The Canonization in the Basilica of Saint Peter. These paintings create the symbolic framework of Hyacinth’s spiritual life starting with his entrance to the Dominican monastery in Rome and culminating in his canonization in the Basilica above the tomb of St Peter. Particularly interesting is the Canonization scene, which Zuccari probably based on detailed descriptions, although it cannot be ruled out that he witnessed the theatrum canonizationis in 1594 with his own eyes. A set of preparatory sketches for the scene confirm that the painter was about to paint the offertorium with representatives of the king of Poland, Stanislaus Miński and his companions, who gave a candle and two cages with birds to the pope, but finally chose a moment in which the pope is accepting the request of the Sacred College of Cardinals to recognize Hyacinth as a saint. The theatre is rendered in detail, in such a way that it is possible to recognize participants as well as the objects inside the church, including a canonization flag hung above the altar, which features in a number of descriptions, such as in the Life of St Hyacinth by Seweryn of Lubomla OP, the postulator in the canonical process. The flag is preserved at the Krakow Dominican monastery. The flag, similarly to a somewhat later copy painted on damask, contributed to create Hyacith’s image as a “Roman” saint in Krakow. Next to the church of the Holy Trinity in Krakow, there is a chapel standing allegedly on the spot where Hyacinth’s cell was built after Roman cult practice. In its center, a sumptuous Roman-type tomb was built containing a statue of Hyacinth, modeled after the Antamoro Chapel dedicated to Filippo Neri in San Girolamo della Carità. This paper juxtaposes for the first time the various Roman aspects of the cult of Saint Hyacinth.